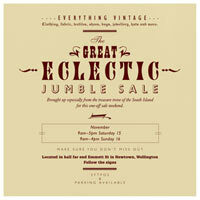 Quick note about what to do this weekend: an Eclectic Jumble Sale of vintage fabric and textiles. 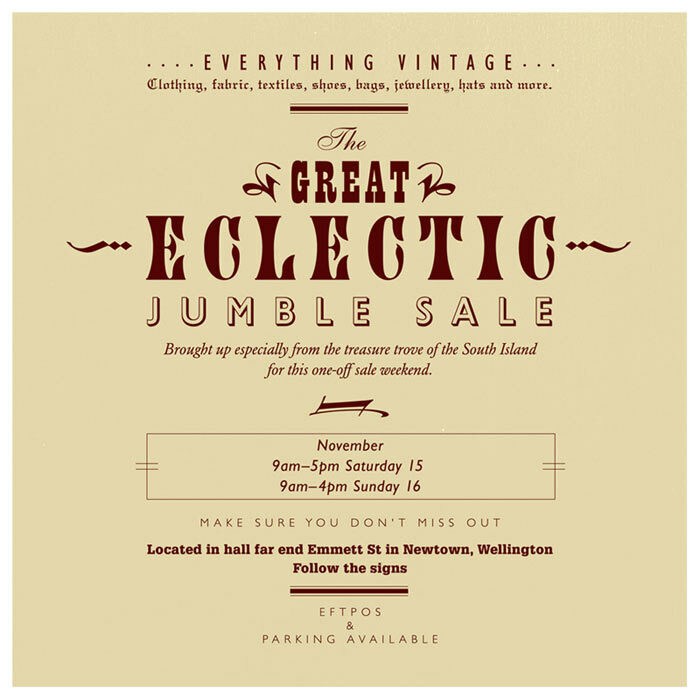 Happening in the hall at the far end of Emmett Street, Newtown – organised by Anna Dean, SPAM INC. Sweet! Wednesday, November 12th, 2008 at 2:26 am. Filed under Other stuff. Follow comments (RSS 2.0), comment, or trackback.